Prato Ride Zildjian ZBT Ride 20''. Material: Sheet Cymbals; Acabamento: Traditional Finish. Peso: 522. 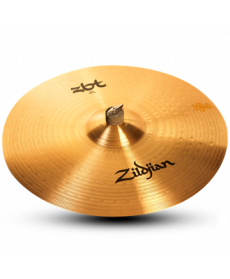 Prato Crash Zildjian ZBT Crash 18". Material: Sheet Cymbals; Acabamento: Traditional Finish. Peso: 522.